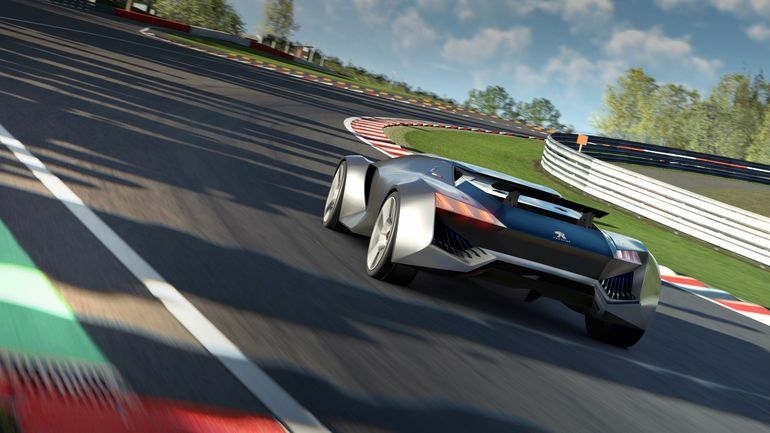 Last year in November, we talked about Chevy’s Chaparral 2X Vision, a ‘laser-powered’ car that virtually made its debut in a downloadable update of Gran Turismo 6. 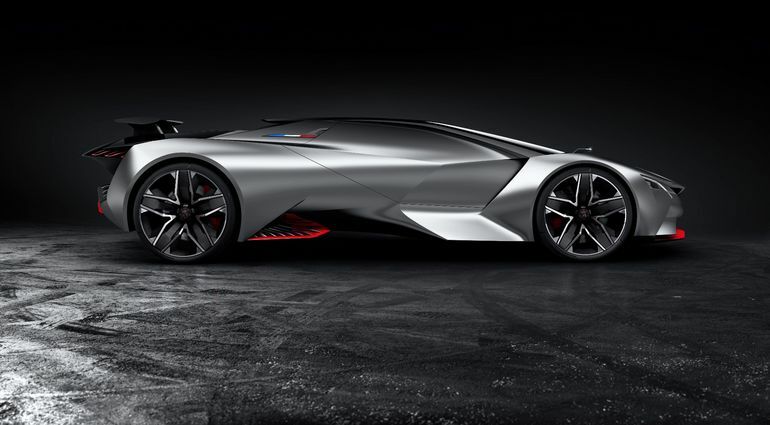 Well, Peugeot has followed this on its tracks with their futuristic concept car Vision GT. 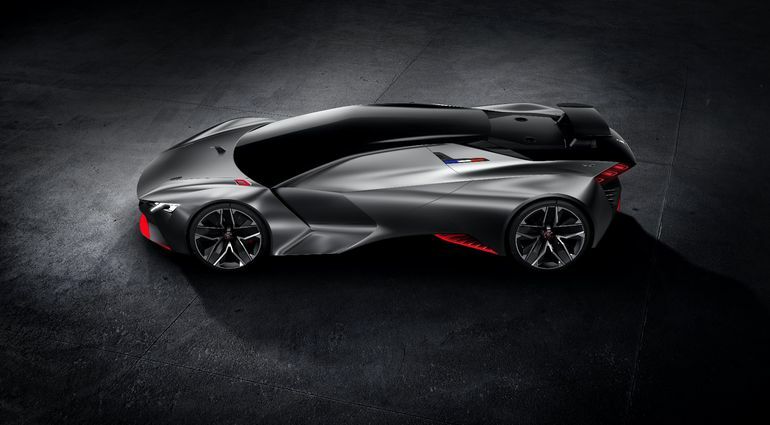 Fusing unorthodox styling with aggressive aerodynamics, the Vision is seemingly inspired by Peugeot’s previous concept car Onyx (that has made its appearance in some auto shows). 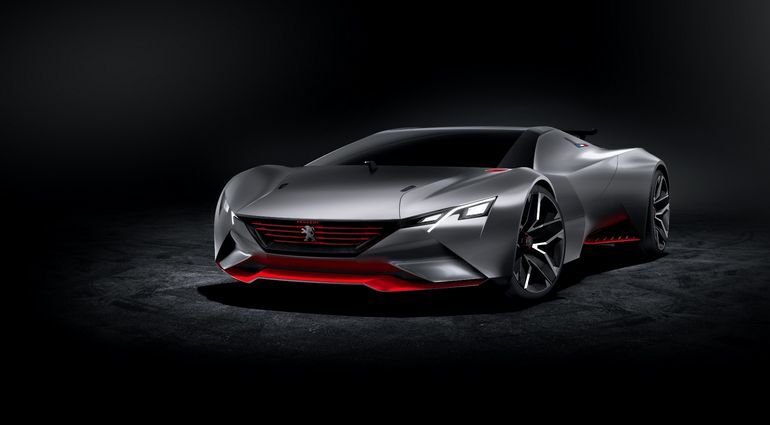 This visual implication is exhibited by the sharp-shaped headlights that coalesce into the front red-slatted grille with the famed Peugeot logo. 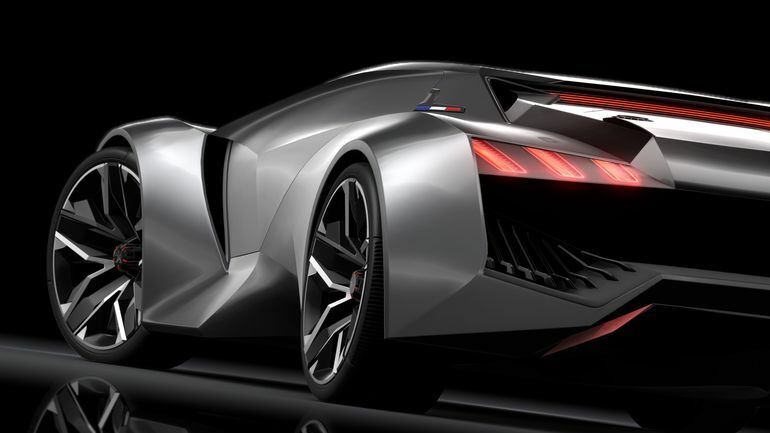 And since we are talking about trademarks, the rear-end showcases the automaker’s signature claw-shaped tail lamps complemented by a pair of imposing air vents. So much for its looks; but what about the power-train? Well, the conspicuous sleekness of the form is bolstered by a mid-mounted turbocharged 3.2-liter V6 engine that would account for an enviable 875 hp. This is accompanied by a six-speed manual gearbox and AWD system that allows the output to be transferred to all the wheels. 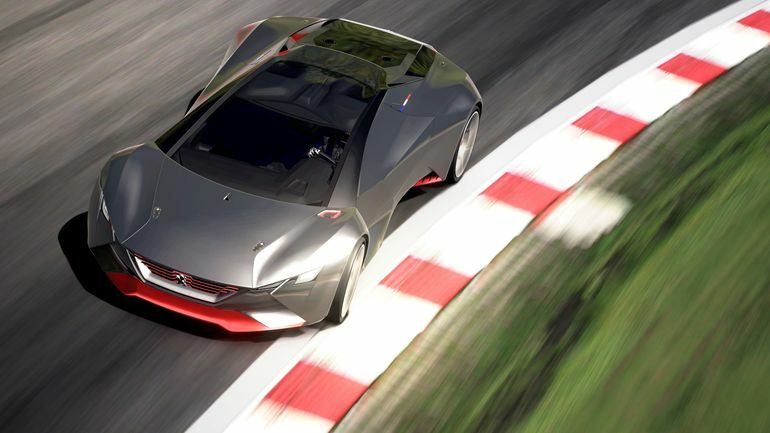 The power ambit’s efficiency is further demonstrated by the virtual supercar’s 1:1 power to weight ratio, which would allow it to accelerate to an exhilarating 62 mph (around 100 km/hr) in just 1.73 seconds. And, in case you want to stop or make swerves, the vehicle further boasts of Brembo carbon disc brake installation. 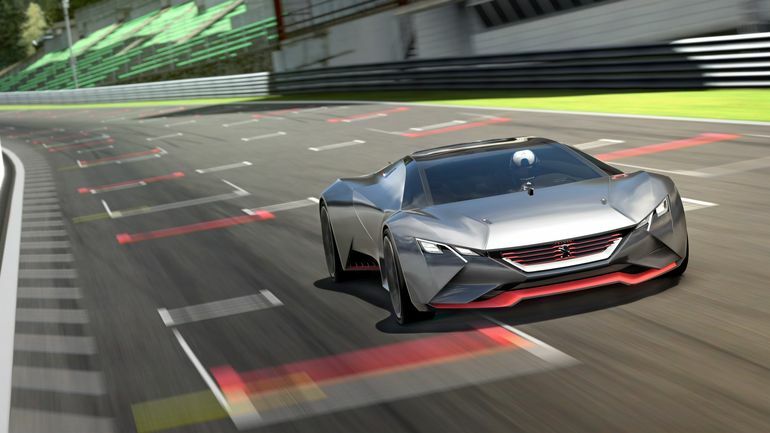 Of course, all of the good stuff is just hypothetical in the current state, with no plans to take the Peugeot Vision GT to the production line. 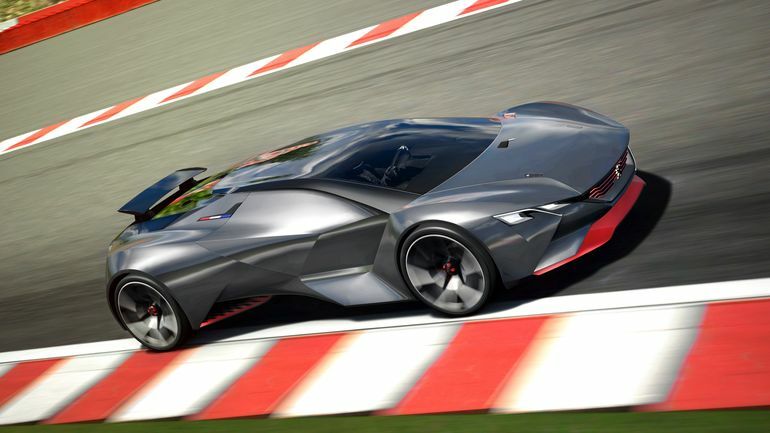 But if you want the uber-futuristic supercar in your digital garage, you will have to wait for the free update for Gran Turismo 6 that is to be released in the near future. And in case, one thinks most of these features are just too ‘video-gamey’, think again – Peugeot’s special-edition 208 T16 does have the real capacity to scamper to 62 mph in around 1.8 seconds!